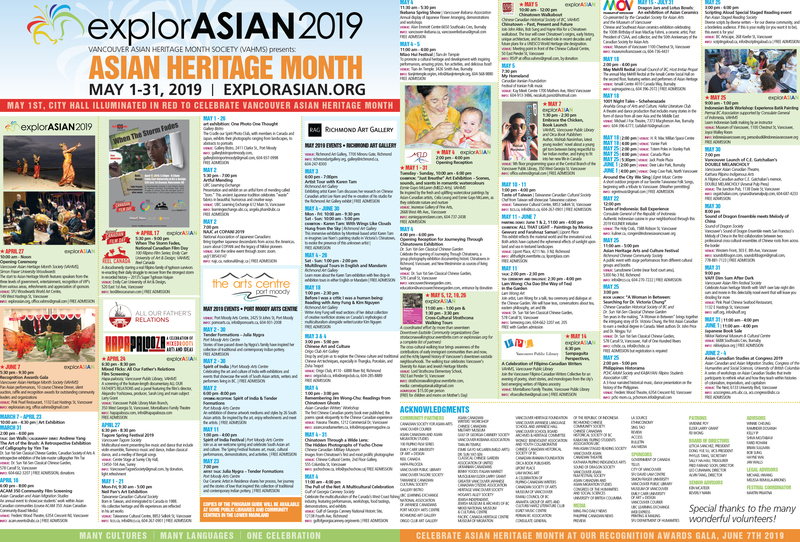 The event is supported by cultural grants from the City of Surrey and featured in the explorASIAN festival by Vancouver Asian Heritage Month Society. Admission is by donation (no minimum amount). Light refreshments will be served.